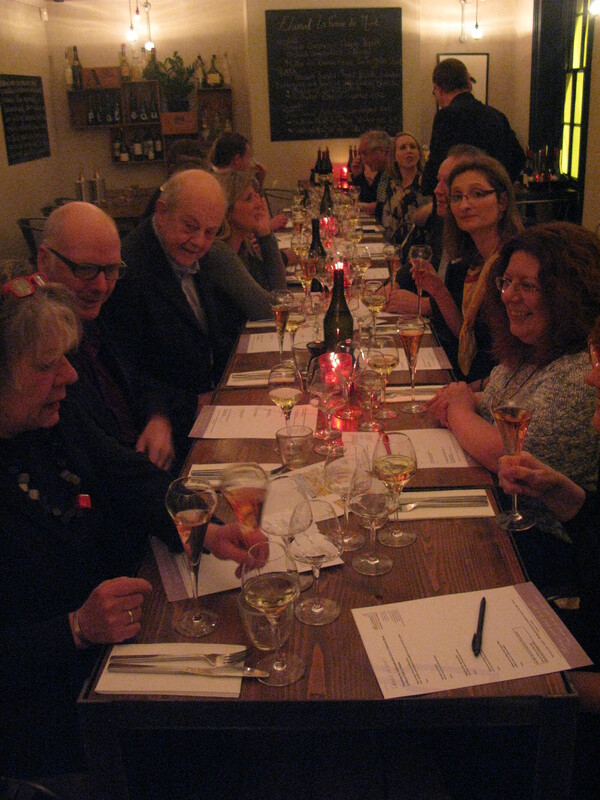 On the 12th March we descended upon Plateau in Brighton for an evening of food and wine featuring a range of wines from the renowned Southern Rhone estate, La Ferme du Mont. Stephane Vedeau is the man behind this estate and I first met him nearly 9 years ago in a small cellar he was renting in Montpeyroux and looking back on this now I can fully appreciate my good fortune then to be able to taste and discuss his philosphy about the wines he strives to make. 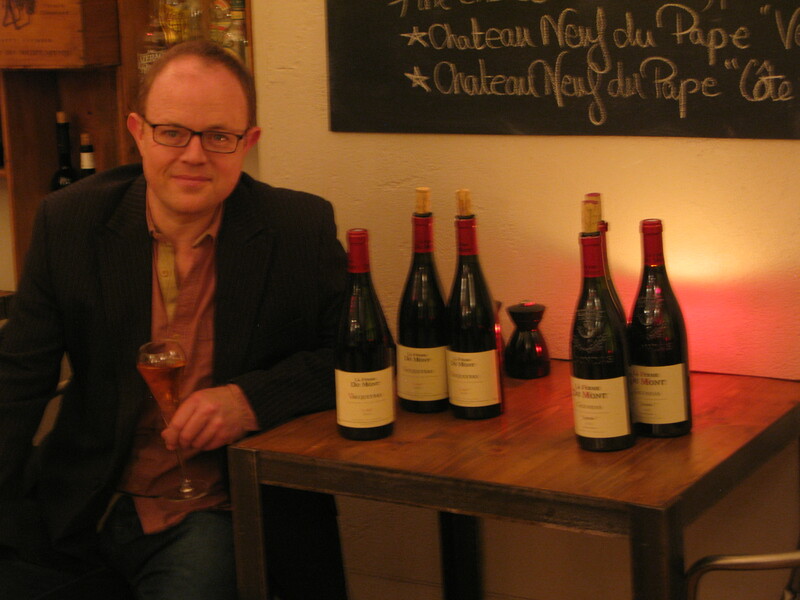 Since then, much has been written by the hugely influential wine critic, Robert Parker Jr, who has published rave reviews for Stephane’s wines since he first reviewed his Châteauneuf du Pape Cote Capelan 2007. The rest they say is history and the world changed over night for Stephane and the resulting demand for his wines, especially in the US. 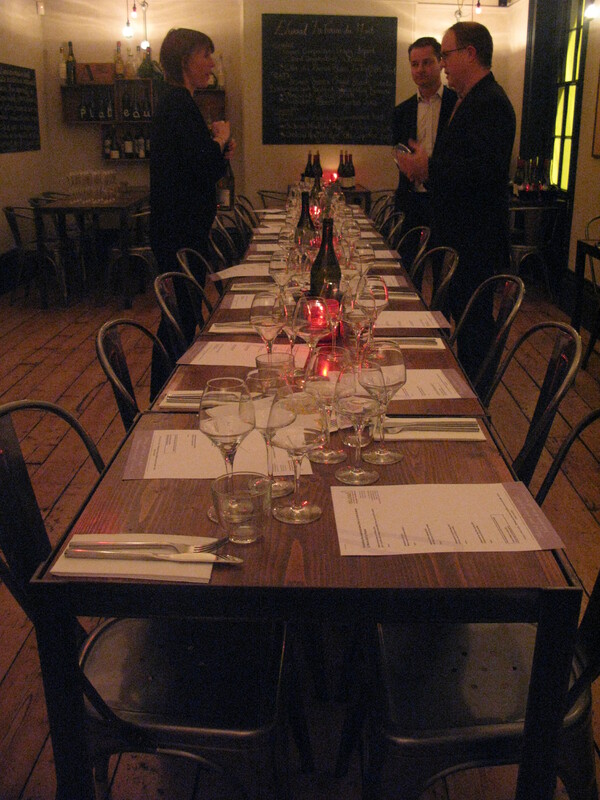 Here’s a summary of the wines we tasted and the superb meal that Plateau produced to accompany them. If you ever head down to Brighton , then do check out Plateau as it is well worth a visit. 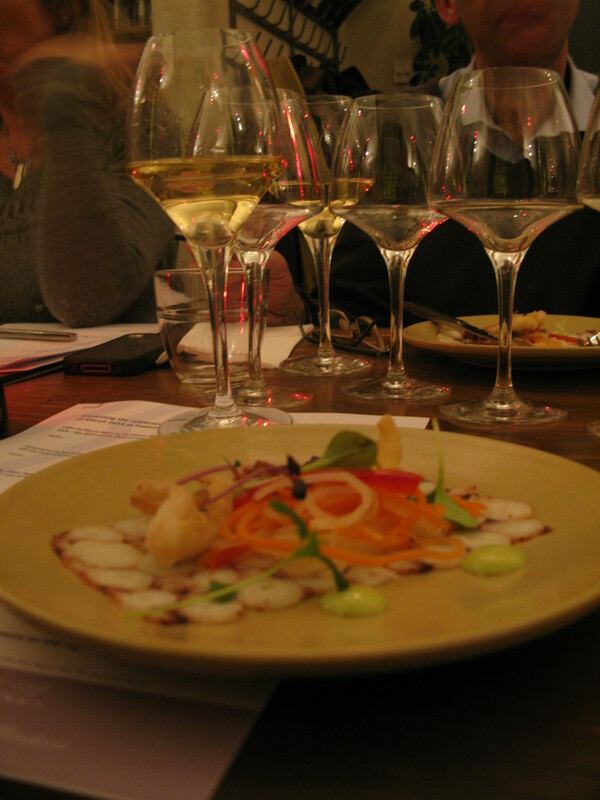 We started with octopus carpaccio, crispy squid, pickled vegetables, rocket and wasabi. This was served with the Côtes du Rhone Blanc, La Truffière 2013. 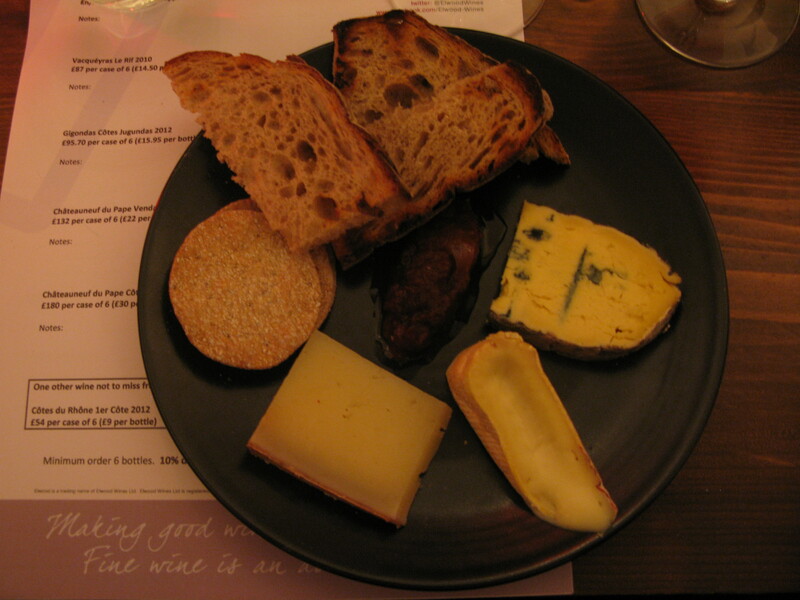 The combination of flavours and textures of the starter worked really well with the aromatic and peachy Cotes du Rhone. The wasibi was just a mere dot on the plate and didn’t overpower the other flavours at all. A great start to the meal. 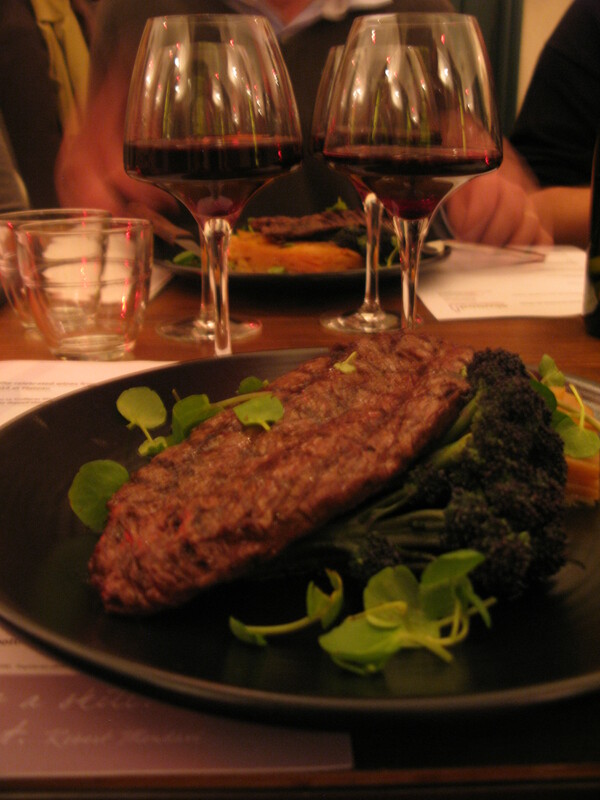 This was followed by the most juicy and perfectly rare Sussex onglet steak served with pommes boulangère that was a great match with the Vacqueyras le Rif 2010 and Gigondas Cotes Jugunda 2012. The Vacqueyras is packed with plump autumn fruits, with notes of lead pencil, tobacco and spice; the Gigondas by contrast had more red fruit emphasis and due to the high altitude of the vineyard there is exceptional elegance and finesses – the refreshing acidity gives the wine amazing poise and the tannins are very finely textured. To round the evening off we paired Stephane’s superb “entry-level” Châteauneuf du Pape Vendange 2010 with the exceptional Châteauneuf du Pape Cote Capelan 2009 with a selection of fine cheeses. The Vendange is immediately accessible with a mesmerising display of ripe dark cherries, liquorice, red peppers, spice and wild herbs and a complexity that is remarkable at this price point. Although drinking beautifully now, this will continue to evolve for another 10 years. The Cote Capelan took us up to another level entirely. The difference here is a greater depth of fruit and even more complexity. The tannins are offering a lovely texture to this powerful wine and yet there is a freshness that leads to an almost burgundian-like silky finish. This wine has a long future. Click here if you would like further details or to buy the wines listed here. Please note that the Cote Capelan 2009 has since sold out, but the 2012 is now being offered En Primeur. Here are a few images from that evening and if this has tempted you to join us at a future event, then please do get in touch. 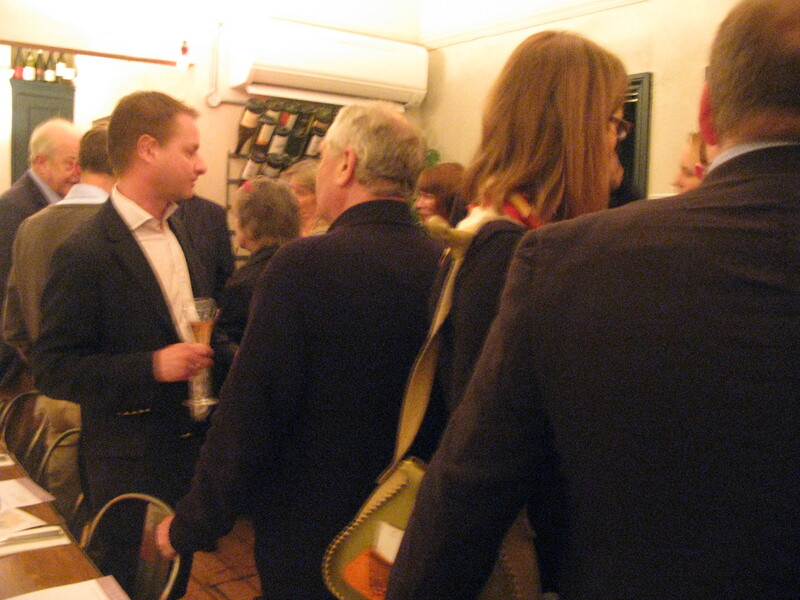 Love the excuse to taste Rhone wines – Plateau looks like a great place too…nice and relaxed. Bookmarked for if I’m ever down that way.